Goldstone is a manmade stone with differently coloured specks of cobalt and manganese suspended in the stone to create a sparkle effect. This version uses blue goldstone – a red goldstone is just as common and has flecks of copper. Some people like to call it ‘starstone’ instead. I wrapped this using sterling silver wire and nothing else as I wanted to leave the stone mostly unobstructed by wires and other crystals. 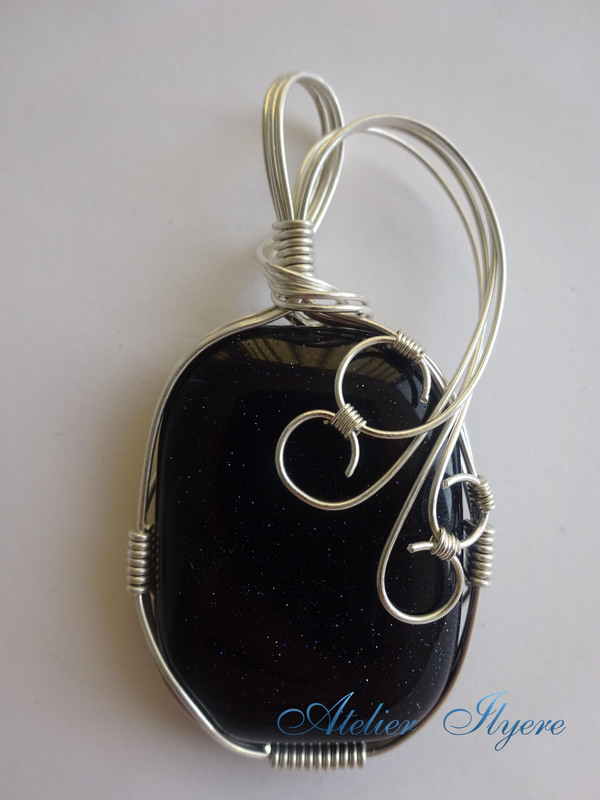 This entry was posted in Gemstones, Jewellery, Pendants, Wire and tagged Blue Goldstone, Jewellery, Pendant, Silver, Starstone, Sterling. Bookmark the permalink.